For as long as I continue to write in this column, I will continue to remind the public of all the great musicians that have passed on. Since independence in 1980, Zimbabwe has lost many musicians. 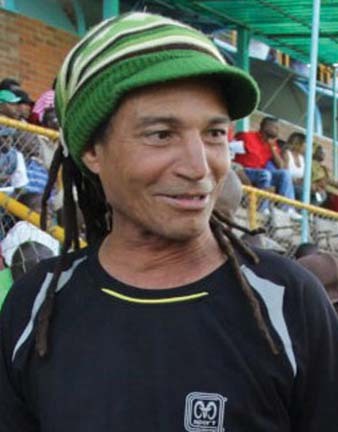 These include Leonard Dembo, Ndux Malax, Martin Ndlovu, Titus Zihute, George Pada, Clever Kazera, Paul Phiri, Biggie Tembo, Tinei Chikupo, Flavian Nyathi, Leonard “Pickett” Chiyangwa, Andrew Chakanyuka and Chris Chabuka. Also late are Simangaliso Thuthani, David Mankaba, Sebastian Mbata, Johnny Papas, Shephered Munyama, David “Mr Bulk” Chiyangwa, Paul Matavire, Don Gumbo, Brian Sibalo, Ashton “Sugar” Chiweshe, Solomon Skuza, William Mhlanga, Safirio Madzikatire, Chrispen Matema, James Chimombe, John Chibadura, Jonah Sithole, Marshall Munhumumwe, Susan Mapfumo, Beaulah Dyoko, Manu Kambani and David Marumahoko. 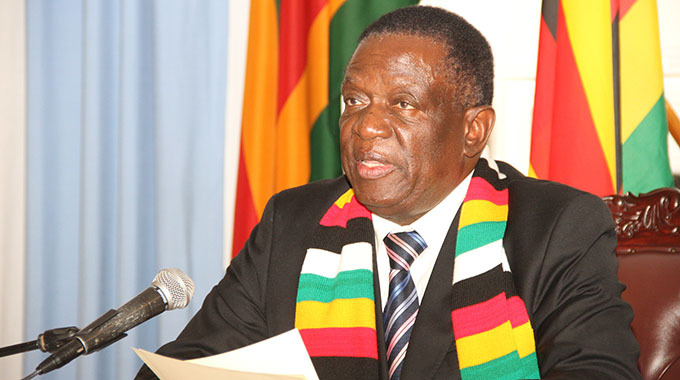 Brian Sibalo, Freedom Sengwayo, Jackie Madondo, Ephat Mujuru, Pio Farai Macheka, Simon Chimbetu, Fortune Mparutsa, Mukoma Ketai, Marko Sibanda, Franco Hodobo, Joe Masters, Cephas Mashakada and Tongai Moyo died over the last years. Death has also robbed the industry of Hilton Mambo, Adam Chisvo, Sam Mtukudzi, Prince Tendai Mupfurutsa, Andy Brown, Cookie Tuthani and Chiwoniso Maraire. There are hundreds of other musicians who have died but remain obscure as they were regarded as backstage artistes. May all their souls rest in eternal peace! We are all secretly terrified of death. It is one inevitable aspect of life, so to speak, that civilisation has not improved. Yesterday, March 16, marked the second anniversary of Andy Brown’s death. He died a day after his 50th birthday in 2012. Up to this day, since his death, no one has told me what killed Andy Brown. All known organisms inevitably experience death. In the past the phenomena which commonly brought about death included old age, predation, disease and accidents. In this day and age of HIV/AIDS we have become more discreet about the cause of death to the extent that we only get shocked to hear about someone’s death when we were not even told that they had been ill for sometime. This, apparently became the reason for a fight which broke out between Chiwoniso Maraire and Nadine Brown during his funeral wake. “Uncle Fred. Please come and stop it! They are fighting!” I asked her who was fighting and did not get a response but instead I was taken to a locked bedroom door where I heard people shouting on top of their voices. Since the door was locked, I went round to the window and saw Chiwoniso Maraire and Nadine Brown at each other’s throats. I asked the onlookers who had gathered around why they were fighting and was told that it was because Nadine had not informed Chiwoniso that Andy had been ill. I was astounded. I tried in vain to speak to Chiwoniso but despite her show of respect for me in the past, on this night, she totally ignored me. All I managed to say to her was “I am sorry about Andy”. Nadine was still locked up in the bedroom. As there was no one to pay respects to, I went home. The next day, Saturday the March 17, I went back to the house and several musicians who included John Muyambo aka Chibhodhoro, Tanga wekwa Sando, Jah Prayzah, Potato, Sister Flame, Elijah Madzikatire, Ras Trevor Hall, Yagga, Pastor Charles Charamba, Amos Mahendere, Sam Mataure, Alex Goho, George and Pat Ncube (Ex-Ebony Sheik), and many others had gathered at the house. I told them about the fight that took place the previous night and Sam Mataure summed it all up by stating that this is the reason why musicians are not respected by anyone in our society because of this kind of behaviour. The death of Andy Brown shocked many people and brought many musicians together to pay their last respects for Andy Brown was larger than life. I first met Andy in 1986 when he became a member of Ilanga, the band in which he played with the late Don Gumbo, Munya Brown, Comrade Chinx, Busi Ncube, Keith Farquarson, Adam Chisvo and Gibson Mangena. Straight away I knew this was a talented and gifted young man when I first heard him play the guitar. He eventually left Ilanga in 1988 to form his own band, the Storm which churned out several hits such as “Tichangoshaina”, “Ndoita Zindoga Ini” and “Mapurisa”. Many more hits were to come over the years including collaborations with his ex-wife, Chiwoniso Maraire. Born in Mberengwa on March 15, 1962, Andy Brown went to Chavengwa Primary and Mavorondo Secondary Schools for his education. He started singing at an early age and used to dodge school to play the guitar in the bush. Guitar maestro, singer and songwriter, Andy Brown later went to South Africa for three years on a musical excursion. While there he worked with “We Three” and penned all the songs for one of the group’s albums. Andy Brown returned to Zimbabwe in 1995 and soon recorded the hit album, “Gondwanaland” which rocked the Zimbabwean charts for almost six months with hits such as “Tichangoshaina” and “Zindoga”. By 1997 the line up of his group, The Storm, consisted of Sam Mataure (drums), Ian Hillman (bass), Adam Chisvo (mbira/percussions), Keith Farquarson (Keyboards), Chiwoniso Maraire (vocals/mbira/percussions), Mwendi Chibindi (background vocals), and Paddy Moyo, the manager. His song, “Tomato Sauce” recorded in Zimbabwe charted at number 5 on South Africa’s Radio Metro a week after entry. In June 1997 Andy successfully launched his sixth album, “Tigere”.All the tunes on this album maintained a prominent traditional rhythm. Between 2000 and 2012 Andy’s rise to stardom was hindered by his decision to get involved in politics. As a result, he lost a lot of his fans. He made several mistakes along the way which resulted in him failing to be the superstar that he deserved to be, but everyone makes mistakes. We will always admire, but can never emulate his genius. One certain thing is that very few talented Zimbabwean musicians could surpass his talent. I have not known any man of genius who has not paid physically or spiritually for what the Almighty has given him. Andy was no exception. Andy paid with his heart and soul. He was laid to rest at the village where he was born in Mberengwa. He is survived by ten children, namely Devona, Amarra, Shala, Alexander, Chengeto, Chiedza, Ushe, Jason, Andy Brown Junior and Alzaeed. Meanwhile, Amarra Brown has followed in her father’s footsteps and is already showing signs of rising to stardom as evidenced by her recent duet with Jah Prayzah in their collaboration single, “Kure Kure”.